Feira de Santana ([ˈfejɾɐ dʒi sɐ̃ˈtɐ̃nɐ]; Portuguese for "Saint Anne's Fair") is a city in Bahia, Brazil. It is the second-most populous city in the state, with a population of 612,000 according to IBGE's estimate. It is located 100 km northwest of Salvador, Bahia's capital city. These cities are connected by BR-324, a four-lane divided highway. Feira de Santana, formerly spelled Feira de Santa Anna, is named in honor of the cattle fairs held at the St-Anne-of-the-Fountains Plantation (Fazenda Sant'Anna dos Olhos D’Água) in the 19th century. The St-Anne-of-the-Fountains Plantation was established in the 18th century by Domingos Barbosa de Araujo and his wife Anna Brandoa. Located at the edge of Bahia's "backcountry" (sertão), it became a center for the cowboys on their way from the pastures there to the port of Cachoeira. The cowboys' practice of starting annual fires to clear old brush eventually worsened the area's natural aridity to the point where the cattle industry collapsed, but by then Brazilians and foreigners had begun adopting the area as their home. A city began to develop with wide streets which were bordered by commercial houses serving the area's growing population. It was incorporated as the second city in Bahia after the capital and the 31st in the entirety of colonial Brazil. Today, Feira de Santana remains the second largest city in Bahia and an important stopping point for travelers. 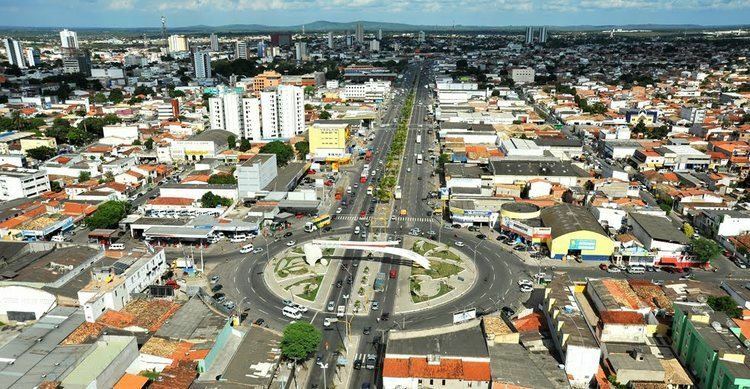 With a major junction of Northeastern Brazil's highways nearby, Feira de Santana functions as a crossroads for the traffic coming from the South and West-Central portions of Brazil bound for Salvador and other important cities of the northeast. Feira de Santana, thanks in part to its longstanding importance as a crossroads and its proximity to Salvador, is now an important and diverse commercial and industrial center. The Universidade Estadual de Feira de Santana is located in the city. The city is the seat of the Roman Catholic Archdiocese of Feira de Santana. Feira de Santana is famous for its parties and festivals, particularly St Anne's Day (Senhora Sant'Ana) in the last week of July, which features activities such as bumba-meu-boi, segura-a-véia, and burrinha. The Micareta carnival party is held 15 days after Passover; the Festival of Violeiros in September; and the donkey race in November. The city boasts of several interesting tourist destinations including a market for local artists, a museum of contemporary art, and the Antares Astronomical Observatory. The city is served by Gov. João Durval Carneiro Airport.